Hi everyone, I am running a largest car buying company in UAE. 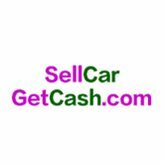 We allow our Client's to sell their cars in just a few minutes. Evaluate your car free with our car evaluation tool. If you want to know regarding how to sell a car in Dubai or RTA policies which you need to know. Let us know we will be more than happy to help you. This is the place where we can sell our vehicles less than an hour. There are quite simple options through them this procedure will complete.